Advertising in this section also gives us the right to advertise on yours with no complications, Meaning that it shouldn't be 100 or anything posts for us to advertise on your forum. Unless one of your members with enough posts advertises our rp on your the site aswell before posting on here. The Genin evolution. Life as a Genin in the shinobi world. Growing, learning, developing, and becoming the best that you can be. 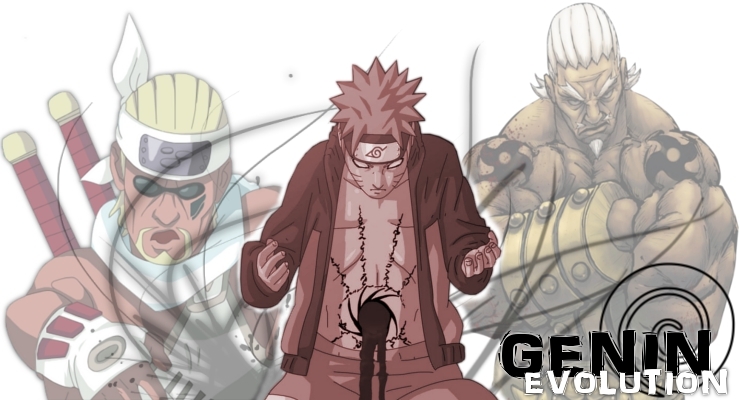 Be the next Kage or defect from the village. Fate, rivalries, and events of all degrees will determine what you end up as a ninja! Entirely custom! No clans wiped out, nothing pre-banned! Start as a Genin, train, learn, and become whatever fate has intended for you, or be a Jounin Sensei and mold the minds of the young ones of the village to teach them and make them into great ninja!